Reservations are no longer available Reb Eli Chaim Yahrzeit Carlebach Shabbaton Rabbi Eli Chaim Carlebach Reb Eli Chaim, as he was affectionately referred to, was a warm and caring presence in the life of The Carlebach Shul. Reb Eli Chaim opened up the lost world of the Chassidic masters by his Institute’s publishing of encyclopedias of Chassidut. Please join the family and friends of Reb Eli Chaim z”l for this Shabbat. The Carlebach Shul strives to provide a beautiful experience for everyone participating in our Shabbat or Yom Tov dinners. A typical dinner commences approximately 2 hours after Mincha begins. These dinners provide a unique opportunity for both members and visitors to celebrate Shabbat together in a lively and inviting setting. Attendees can expect delicious food, lots of singing, and inspiring words of Torah from the world-renowned scholars-in-residence who join us for these dinners. REFUND POLICY: The Carlebach Shul incurs costs for every event based on the number of reservations. Therefore, please note that unless otherwise indicated, the cancellation deadline for any event is 24 hours before the start of the event. After that deadline, we will not be able to issue any refunds for that event. Thank you for your understanding. 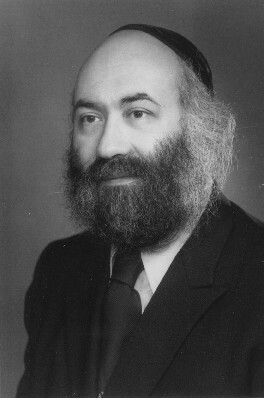 Reb Eli Chaim, as he was affectionately referred to, was a warm and caring presence in the life of The Carlebach Shul. Reb Eli Chaim opened up the lost world of the Chassidic masters by his Institute’s publishing of encyclopedias of Chassidut. Please join the family and friends of Reb Eli Chaim z”l for this Shabbat.